> It is one of the advantages of Test Automation, In Manual Testing for each and every Test case execution human user interaction is mandatory. If It is automation Test Tool can execute series of tests without user interaction. ii) Using AOM(Automation Object Model) Script. iii) Using Driver script in Automation framework. a) Create basic tests and run them once. b) Launch “Test Batch Runner” Tool and create Test batches. c) Provide permission to “Test Batch Runner” Tool to execute tests and components. d) Run the Test Batch. Note: “Test Batch Runner” Tool doesn’t provide batch wise Result. Note 2: “Test Batch Runner” Tool can execute entire Test batch or part of the Test batch. 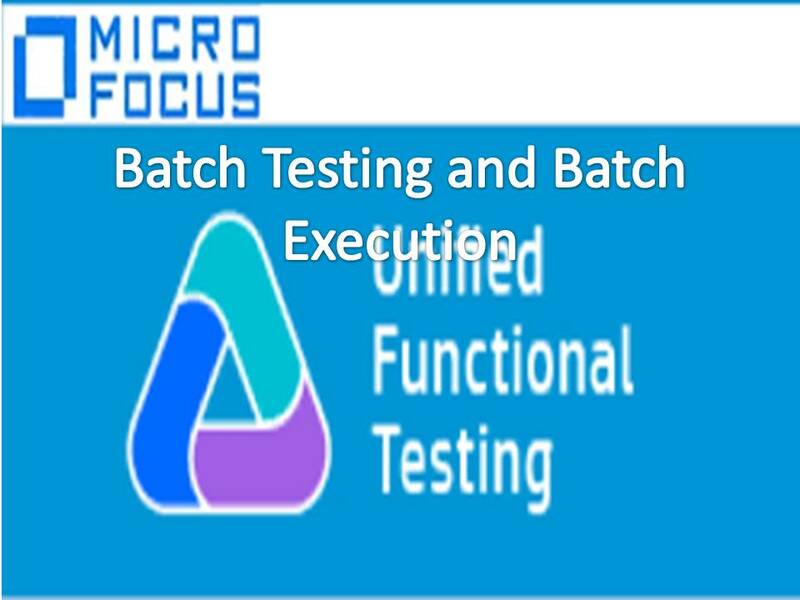 UFT only executes Tests one by one based on “Test batch Runner” instructions. Automation Object model is a private object model. QTP Application object is used to automate UFT tool operations. AOM is not UFT test script, It is VBScript file. > You can create AOM script in UFT tool editor for getting context help. objQTP.Visible = True ‘To view the UFT tool during execution. objQTP.Launch ‘To launch UFT Tool. Set objQTP = Nothing ‘To release the memory. Read Test paths from a text file and execute using Loop statements. When Debugging Tests is required?